It's been a bit of a roller coaster this one I can tell you, and I'll be starting from the beginning! 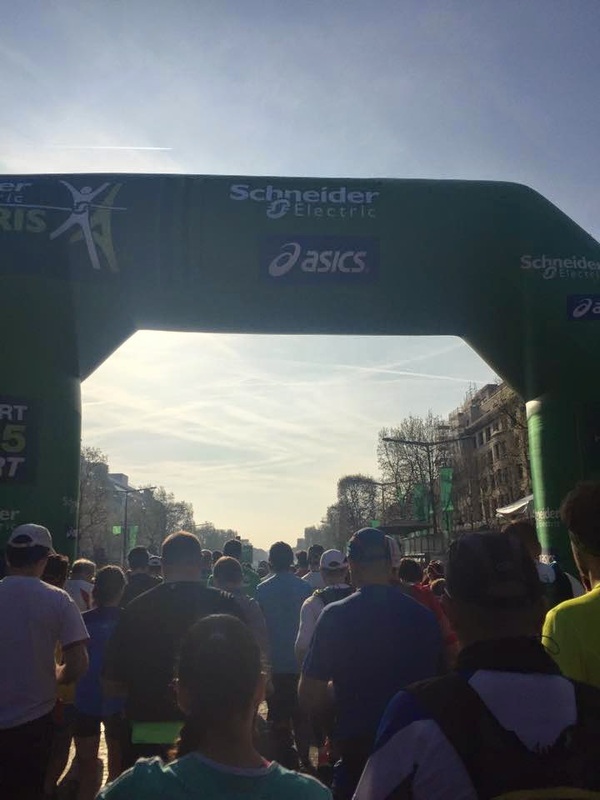 Not long after last years Paris Marathon I entered the pre registration ballot expecting it to be pretty much like London Ballot as in not that easy to get a place I expected not to get one. I was pretty wrong, it's not like London and I did get a place, pretty much so did everyone I knew that entered the ballot! At least with this marathon I had a year of knowing I had a place and preparation and planning could commence a lot sooner than a London place where you don't find out til October if you have been won a place or not.The only difficulty I had was not knowing if I would have left the ship I was on or not by them. There were a few from my running club Plymouth Muskeeters going so they had organised a group flight booking. I by the time I had my draft confirmed could not tag on the this group booking so had to sort my own way there. Having looked into it, found it cheaper to grab the Eurostar than to fly not in a group booking. It would make travel time slightly longer but it was better than driving there and back! 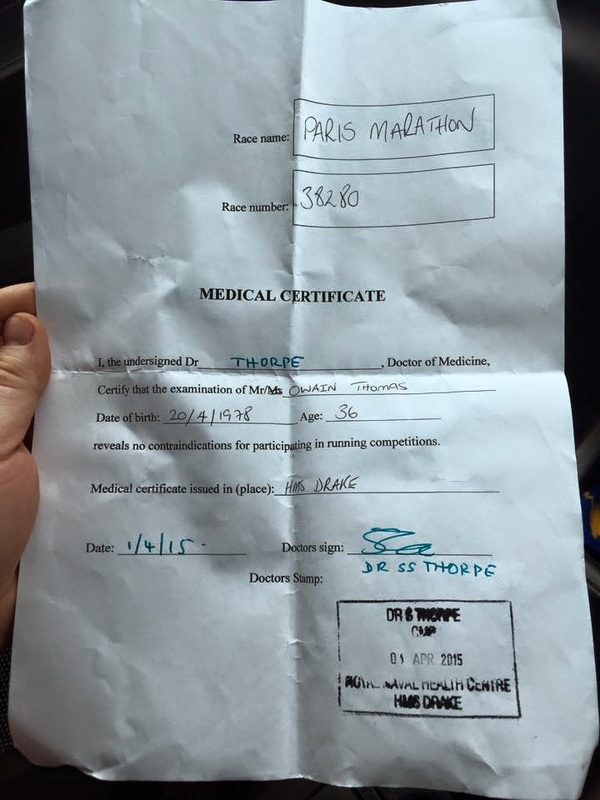 As the marathon approached it was time to see a Doctor and get my medical form signed. All French races require this as mandatory regardless of distance. So I went and because I suffer from White Coat Syndrome (I worry they'll find something wrong) my blood pressure was high. So I had to have some tests done including blood test, ECG and 24 hour BP monitor fitted. If it came back to show I didn't have white coat syndrome and I actually had Hypertension that would be Paris over in regards to running, the doctor was not willing to sign the certificate. 24 hours later I went back and luckily all was well and it did prove what I thought! 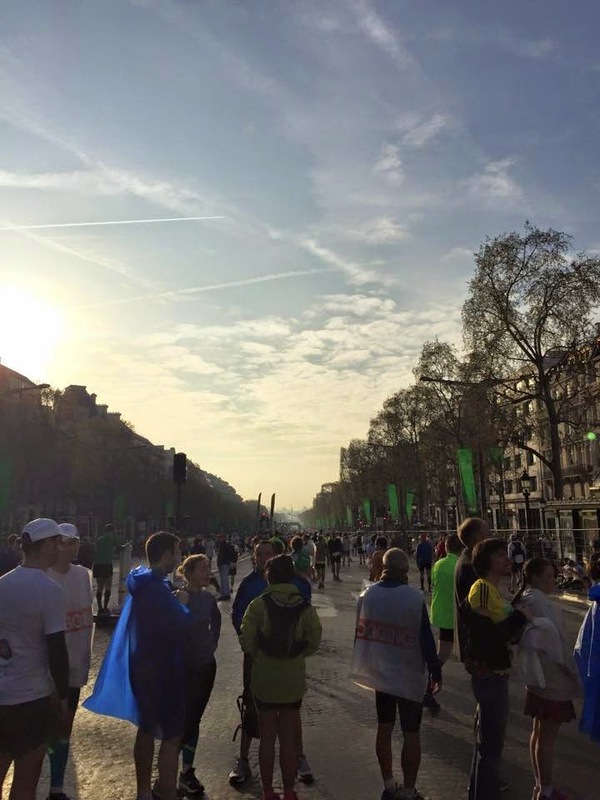 With a signed certificate I was happy to still be running the Paris Marathon and not just going to support friends. 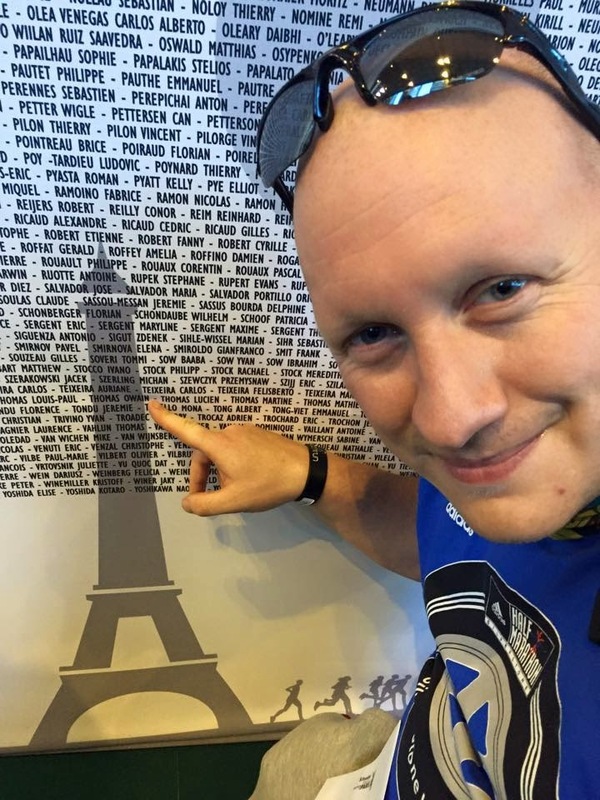 We arrived in France in good time, and went straight to the Expo to register and pick up my race number. It was open til 8pm so even though we got there at 7pm it was still buzzing with runners turning and looking around. I handed in my medical certificate and got directed round to the area for collecting race numbers. the atmosphere was already building for race day, it was amazing! I went to my section to collect my number. When I applied I was looking at sub 4hrs as it was achievable, but the training I had put in wasn't going to get me to this but it didn't matter. It just meant I had a head start on the those that were going to finish around the time I was expecting to finish which around 5ish hours. I picked up my number one thing stood out! They had me down I was from Jamaica! Luckily I wasn't the only one from club with this issue, there were a few with Jamaica, France and even Australia. Right opposite the number collection area was a wall with all the entrants names written on it. Yes all 54,00 entrants names! So I had to go find mine didn't I? I was also given my runners goody bag, which was filled with various items like drinks bottle, nuts, various fliers for other races and also the bag could be used as the drop bag should you require it. It was pretty good to be honest and had some useful items inside it. After quickly going around the expo we headed off to La Defence where our hotel was. A lot of the runners from the club were staying there so it was nice to be surrounded by people we know. We booked it well in advance and got 3 nights for £153 which was pretty good as most hotels weren't less than £200 for the same time period. Good thing about the hotel was it was only about 9 minutes away from the start/finish by Metro. The Metro is pretty good, sorting tickets was a pain as it wasn't the easiest of menu systems but soon got the hang of what we wanted once we spoke to the Metro staff. Zones 1 -3 for a day over the weekend was 3 Euro 55 cents so pretty cheap to be honest. Much like London it was more expensive during week day peek times. So registering on the Friday night meant that we therefore had all Saturday to do what was needed to to. I managed to drag myself to the hotel breakfast seeing a few friends who were also staying there and had a good pre race chat and talk about our travels to get here. How I ever I feeling pretty rough with this chest infection/cough I've had for quite a while now so I went back to bed for a morning nap. Not wasting the whole day in the afternoon, we went sight seeing and exploring the city. I made sure I ate as well as I could during the day whilst out and about and the plan was to get a pretty good night sleep. I fell asleep about 9.30pm however it was distrub having to get up during the night having coughing fits to the point I was throwing up lots of phlem until the point of food coming up. When I did sleep I had a bad marathon dream. 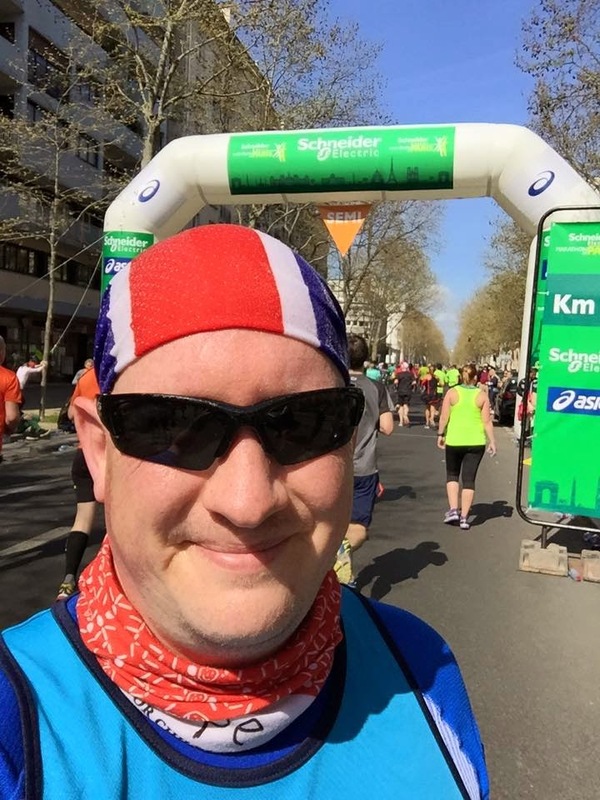 I dreamt I had got little sleep before the marathon and not long after I started the marathon I fell asleep somewhere, waking up much later not having a clue where I was. When I eventually found people I knew all wearing their finishers t-shirts and medals they all told me I missed it all and didn't finish. I was so gutted it was unbelieveable! Luckily it was a dream. Having originally planned on doing sub 4hrs when I entered I got a start time of 9.30am which meant I had to be in the pen no later than 9.15am. We all left the hotel at the same those who didn't have a super early start for being super fast and got ourselves in good time to the start at the Arc of Triomphe. They had made the metro entrance and exit gates unlocked making it easier for the amount of runners to get in an out. The atmosphere was all ready building as the sun was rising along with the temperature. The crowds gathering , runners heading to the pens as they started to fill up. People taking photo's, chating, singing. Music being played over the PA system. Marshals in the pens dancing helping people to warm up. Pens were split into time catergories and were going to be set off in waves every 30 mins which was so much better than the way London starts there was no tripping over people getting bunched up, slowing down, speeding up and slowing down again. So this was a big plus in my opinion. The Mayor started the race with the wheel chair athletes first off! Now I was getting excited! 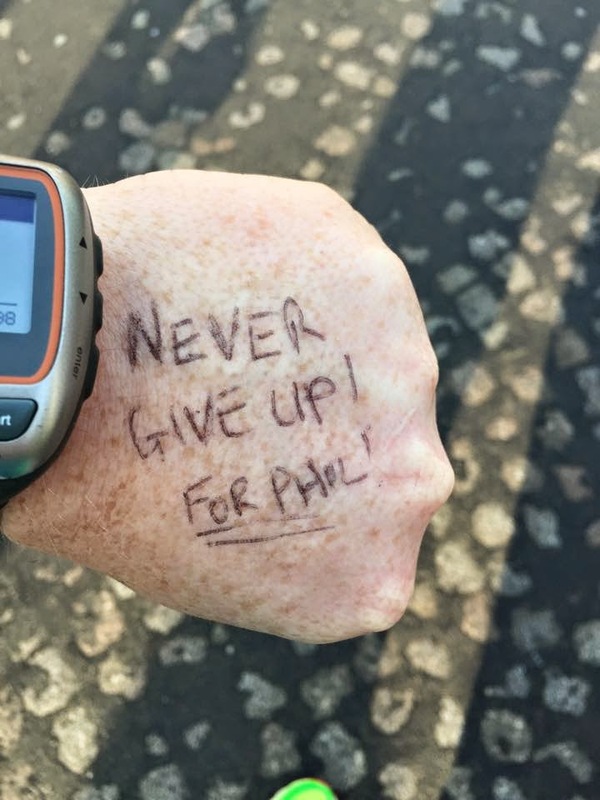 That morning I had wrote something on my hand to remind me why I was doing it and to help me get round. I was hoping not to need it but I was glad I did. Then in a French accent "Green pen 4 hours are you ready? 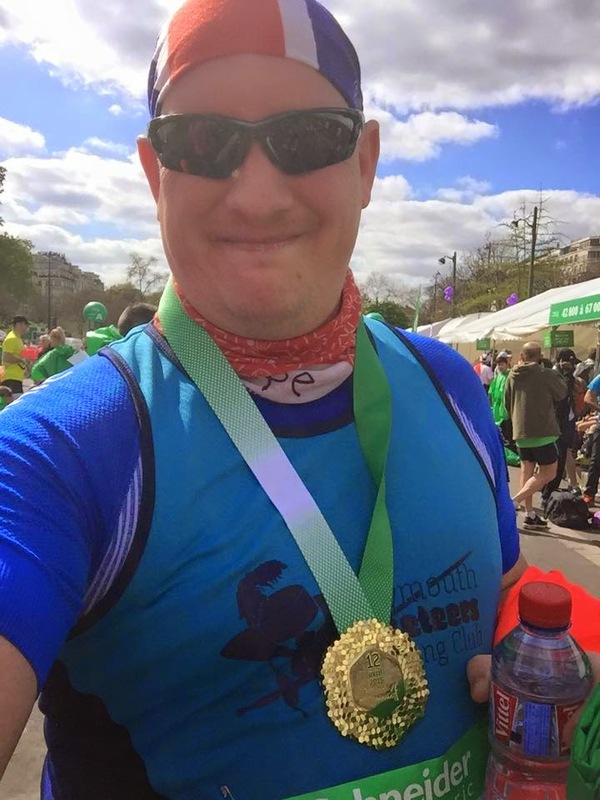 "came across the PA, we moved down as pen open at the front and made our way to the start line. Nerves kicked in a little and a few deep breaths was needed. I was ready for it, may not health wise but training I was. I was doing this. That was it, I was off! For the next 4-5 hours I planned to be out for, as the temperature was already quite warm, I knew hydration was going to be key. There is water stations every 5km around the course and I have learnt from experience in marathons and other races that keeping hydrated is essential especially in the heat. I settled into my planned pace of 11 min miles pretty soon letting all the fast runner zip off. I started to take in my surroundings and enjoy it. Waving to the crowds, giving high 5's to the supporting children. The streets were crammed with people supporting runners or just local out watching cheering on. 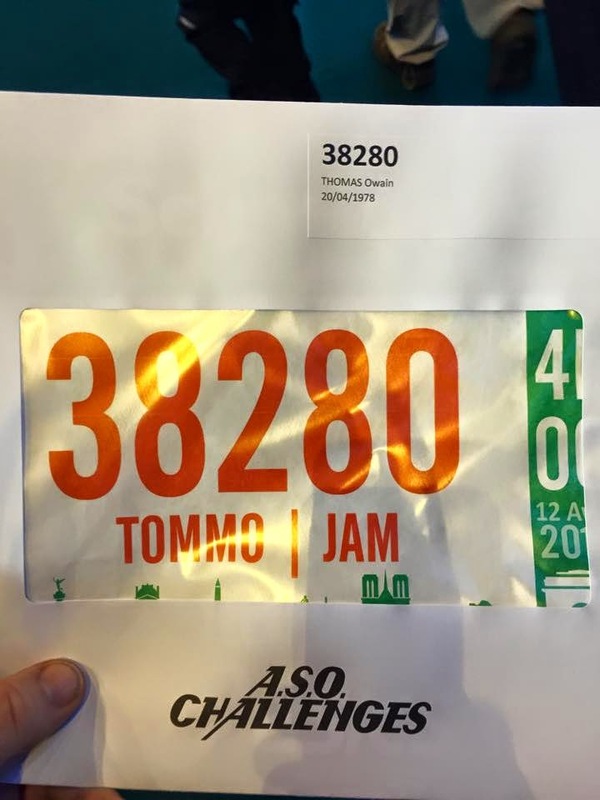 Occasionally I heard shouts in French "Allez Tommo", which is quite a big moral boost even if you don't know that person. The first few km's passed by and I was feeling alright. The atmosphere was still electric. The local fireman were out with their trucks and their ladders hoisted above the runners shouting their support and spraying cold water over the runners. This is something the firemen did at quite a few places along the route. I approached the first water station at 5km (3.1 miles) and was pleasantly surprised how well stocked it was. Along with plenty of water bottles, they served banana halves, orange slices, sugar cubes, raisins. I couldn't cope with the sugar cubes as they were too hard for me, but the oranges and water went down well. I planned to carry the bottle of water and take sips and make it last as long as I could until the next water stop. 4 miles buzzed on my Garmin and with in a few hundred yards after I had the first of my many coughing fits of the day. It was quite an intense one as I went dizzy and shook a little. As I came round and found I was still pointing the right way I carried on. But it drained all of my energy! My legs felt tired? Tired? I've not even reached 10km yet not alone half way. Straight away I had to rethink my plan. Knowing I started earlier than most who finish in the same amount time, I knew it was still going to be possible for me to finish regardless as long as I kept going. I got to 10km in 1hr 10mins and now it was really heating up as well. I was going to be out a long time and in the heat. It was going to be some mission. Get to half way, get to half way and then think about the next plan of attack. Again taking water at the water station it was something I wasn't going to miss. As the half way mark approached I already had another 4 coughing fits. I'm pretty sure most people thought I was a right mong so I just laughed after each time to make myself feel better. As each fit drained me it came to a run/ walk after 10 miles to get me to half way. I had enough gels for the second half so did not want to use them up before half way. I got myself to half way but god that was a struggle. 2 hours and 48 minutes for half marathon was my slowest every half even during a marathon. I will admit I was a little soul destroyed. Even though I had no goal time and it was being used a training long run for the ultras later on, I still didn't want to be out for so long. I looked down at my left hand at what I wrote for the first time. I took a deep breathe and cracked on. I planned then to run walk as much as I could get to each water stop. I had enough gels for each of the final water stops so I would take one each time I got to one. I was going to do this no matter what it took. 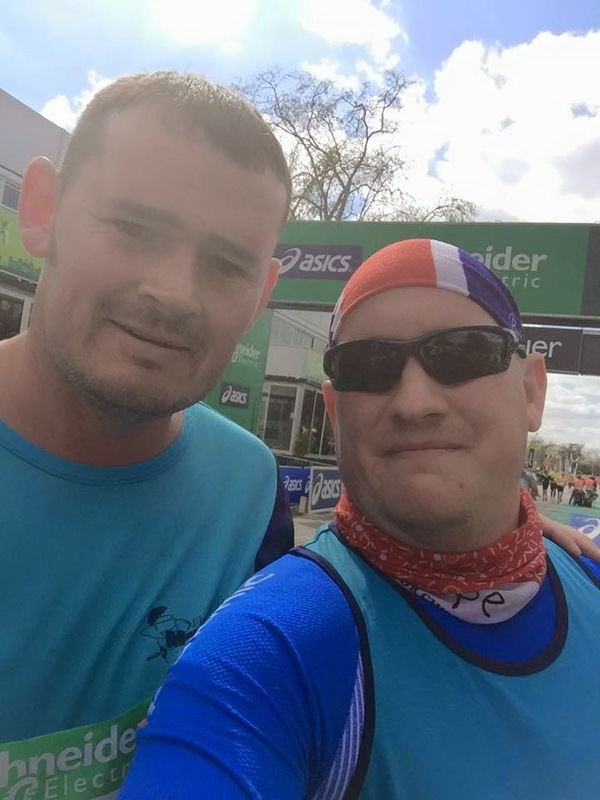 The crowds were still amazing, I got boosts from other runners either because I was from Plymouth (having Plymouth Muskeeters on my vest) or because they saw me struggling. The water sprays were a welcome relief in the heat, also there were stations of big buckets of water to soak the sponges they provided in the goody bag or to chuck over yourself. The course was also supplied with lots of port a loos for the runners, however myself like many after drinking lots of water didn't always have time to wait for one to become free so I found a tree to use in the wooded section. Every so often you would see runner dart off to the sides to go water the plants. As I continued to run/walk I got to 15 miles and by this point already had another few more coughing fits. As I approached the entrance to the first of two tunnels I was caught by another club member who was running. Jason tapped me on the shoulder and asked if I was alright. I told him I was struggling, he said he was too with the heat and an injury. So from that point we stayed together and made our way into the first tunnel which seem to go on for ever. 16 miles was about half way where there was a DJ playing dance tunes, big screen and laser show. The air was dry in there, there was no flow of fresh air coming through at all so I was glad when we eventually came out the other end. We made our way along the River Sienne with the Effiel Tower baring to our left, the crowds still cheering us along. Jason for some reason like me had a different country of origin on his bib number so he often got " Go Jason from Australia" shouted at him. This of course made us chuckle, giving us something to talk about taking our mind off the miles we had a head of us still. As we approached the second and last tunnel, I hear my name shouted out behind me. It was my wife and son. Running towards the barrier. They managed to catch me so I turned round to go give them a big hug and kiss. My boy offering me his cookie, which I gratefully declined hehe. I waved good bye with a boost to my moral and looking at my hand once more I carried on. We were nearing the end, and spirits were high. Speaking of spirits well wine, as we got to 21 miles there was a group of people offering out Champagne and wine and this again at 24 miles by a bunch of clowns offering Haribo and wine. The whole atmosphere over the whole course was amazing with various bands literally every mile and crowds cheering there was nothing not to love about the atmosphere there. Even with the gay cheer leaders bringing their form of morale it made it very Parisian. Although after 24 miles I'm pretty sure the guy being chased by one gay cheer leader saying something french wasn't too impressed. So as myself and Jason dragged ourselves towards the finish we picked up the pace for the final half mile flurish. Being cheered in we came towards the finish line. I crossed that line stopped my watch and thanked Jason, I know he was struggling too but without him keeping me company it would've made it even harder. I had 10 coughing fits some quite bad and draining some not to bad. 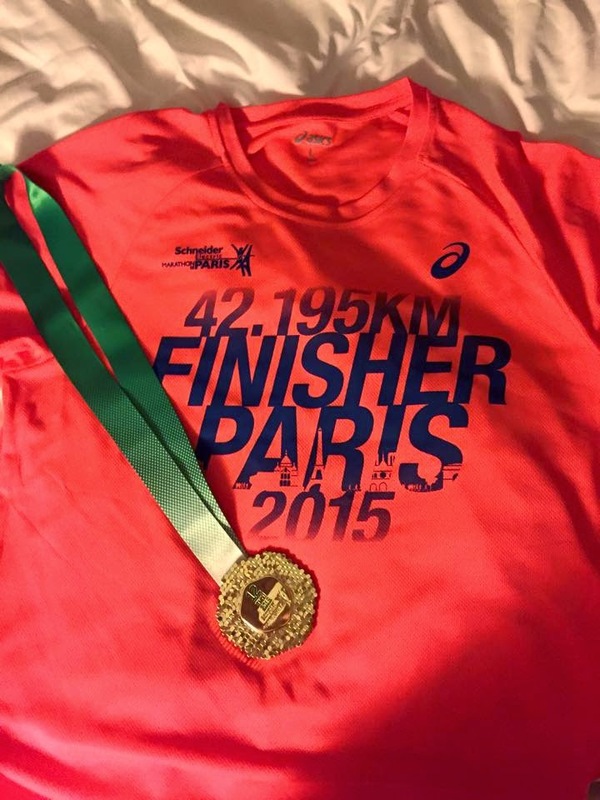 I collected my finishers poncho, t-shirt and medal. Jason and myself after crossing the line. I had done I finished what I set out to do. It was my slowest ever marathon time, but it didn't matter 6 hours 6 minutes and 19 seconds of hard work done. Time on feet done. The feeling of completing an event like this hasn't changed regardless of whether I'm quicker or slower. It's still amazing. The whole event was worth the trip, it wasn't wallet busting either. To be honest it wouldn't have been too much cheaper if I went to London. It's well organised event and whether you use it as a first time marathon or just another marathon I don't think you'd be disappointed. 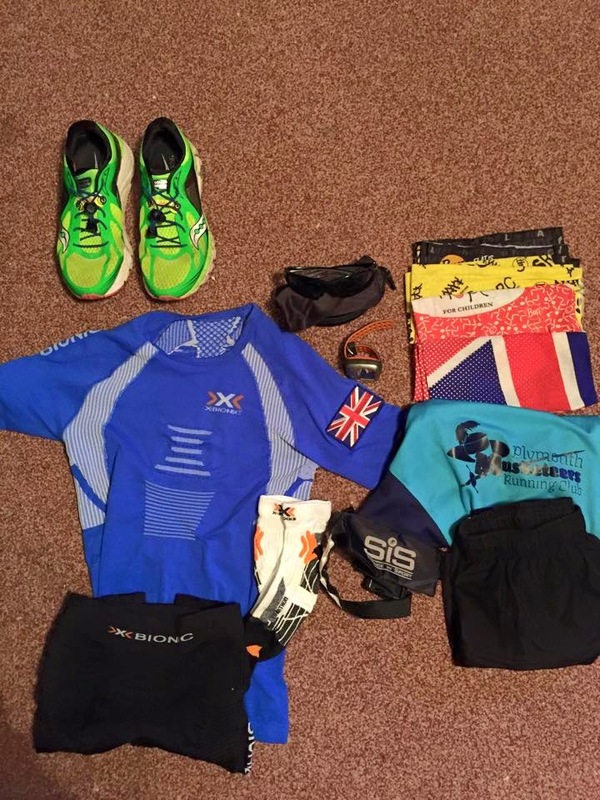 I can't fault the X-Bionic Kit either, it works really well in the heat as I found out when in the Middle East, but this is first time I have really used over a long period of time. The X-Socks marathon socks were a good choice and recommend them for these types of events. Sunwise glasses again were faultless in the heat and sweat. They didn't slip, steam up and remained comfortable throughout. I did get a great sunglasses tan line from them as well. I've since been to the doctors and have suspected Whooping Cough (100 day cough). Little they can do about it, so I've just got to get on with it.